DORAL, FLA, oct 26: U.S. Republican presidential nominee Donald Trump said on Tuesday that Democrat Hillary Clinton's plan for Syria would "lead to World War Three," because of the potential for conflict with military forces from nuclear-armed Russia. 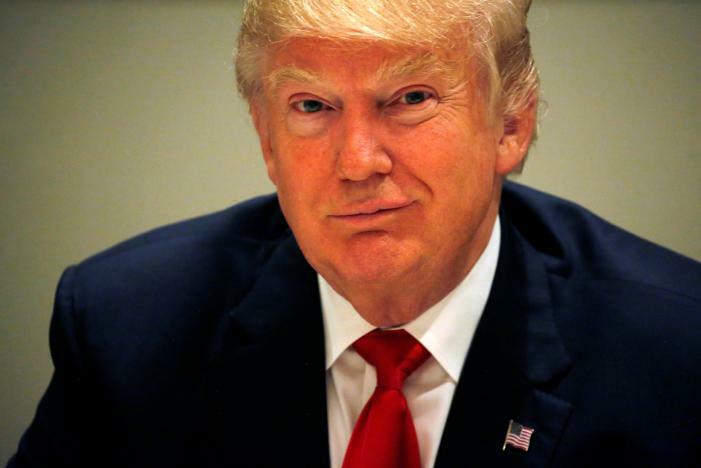 In an interview focussed largely on foreign policy, Trump said defeating Islamic State is a higher priority than persuading Syrian President Bashar al-Assad to step down, playing down a long-held goal of U.S. policy. Trump questioned how Clinton would negotiate with Russian President Vladimir Putin after demonising him; blamed President Barack Obama for a downturn in U.S. relations with the Philippines under its new president, Rodrigo Duterte; bemoaned a lack of Republican unity behind his candidacy, and said he would easily win the election if the party leaders would support him. “If we had party unity, we couldn’t lose this election to Hillary Clinton,” he said. On Syria's civil war, Trump said Clinton could drag the United States into a world war with a more aggressive posture towards resolving the conflict. Clinton has called for the establishment of a no-fly zone and “safe zones” on the ground to protect non-combatants. Some analysts fear that protecting those zones could bring the United States into direct conflict with Russian fighter jets. "What we should do is focus on ISIS. We should not be focussing on Syria," said Trump as he dined on fried eggs and sausage at his Trump National Doral golf resort. "You’re going to end up in World War Three over Syria if we listen to Hillary Clinton. "You’re not fighting Syria any more, you’re fighting Syria, Russia and Iran, all right? Russia is a nuclear country, but a country where the nukes work as opposed to other countries that talk," he said. On the deterioration of ties with the Philippines, Trump aimed his criticism at Obama, saying the president "wants to focus on his golf game" rather than engage with world leaders.Since assuming office, Duterte has expressed open hostility towards the United States, rejecting criticism of his violent anti-drug clampdown, using an expletive to describe Obama and telling the United States not to treat his country "like a dog with a leash." "The people are very angry with the leadership of this party, because this is an election that we will win 100 percent if we had support from the top. I think we’re going to win it anyway."